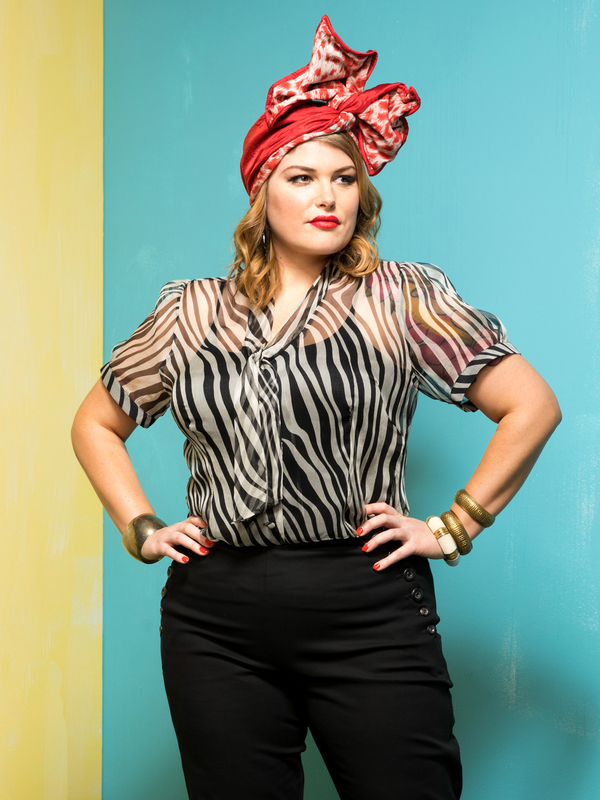 Lulu looks like an urban warrior in the Danzon Silk Blouse in ZEBRA, reversible silk Sculptural Head Wrap and Montecristo Cigar Pants in BLACK/grey. This Danzon Silk Blouse is made from a sheer silk chiffon and is perfect for the hot summer days ahead. This understated and yet glamorous blouse features covered buttons, front ties and adorable sleeves with slight shoulder gathering. Lulu is also wearing the custom made silk Sculptural Head Wrap by Sprinkle. These will be available at Sprinkle Emporium to order. I will make them myself from your choice of fabrics!